Summer’s here. 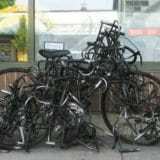 But just because it’s heating up, doesn’t mean you have to compromise on style during your ride. Instead, you just need to find the right clothes that fit well and are made from the best lightweight, breathable materials. 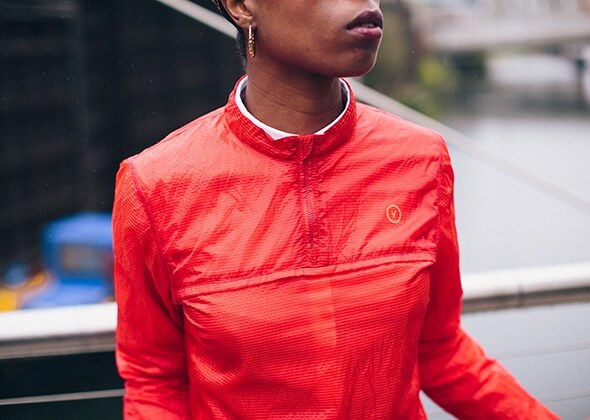 Below we run through some of the best cycling tops and shorts for both men and women this summer, as well as some lightweight jackets in case of a downpour (i.e. British Summerproof). 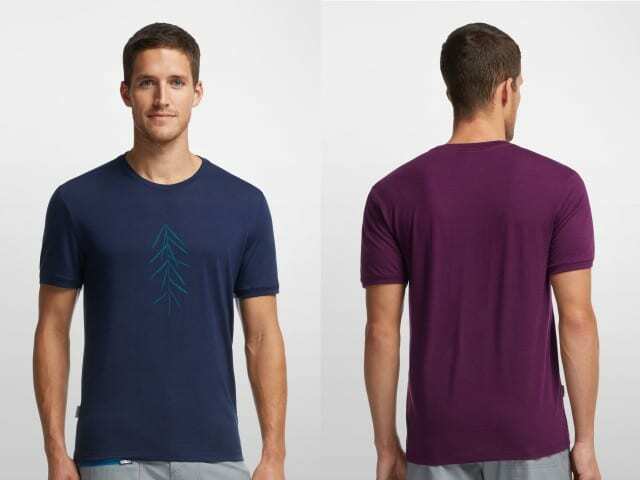 This ultra comfortable 150gm merino t-shirt is ideal for warm weather. 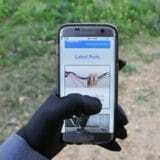 It performs that bit of magic of keeping you warm in the cold, but cool in warmer climes. Boasting a touch of lycra, this t-shirt is very soft on the skin and breathes well. It also looks cool with its simplistic Lancewood graphic. Available in admiral (navy blue) and maroon. 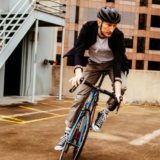 Discerning Cyclist reviewed this almost two years ago and it still remains one of the smartest cycling polos out there. 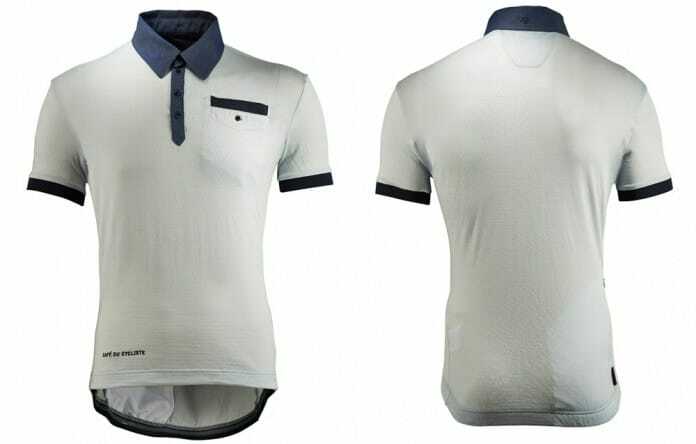 Matching a traditional cycling jersey like-for-like in terms of functionality, this clean cut merino polo boasts a front breast pocket as well as two back pockets, a lower back and has reflective features under the collar. Available in misty green or grey. 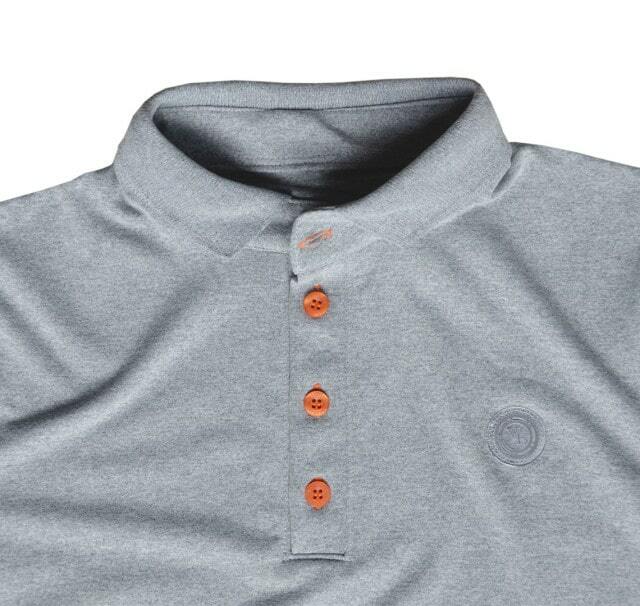 This Velobici polo caught my eye as soon as I saw it and is blessed with a wealth of cycling functionality, and is made from a blend of Supplex nylon and lycra. Again there’s a rear ride pocket, a reflective chest badge and a curved drop-back hem. My staple shorts this summer, ones which I gave a rave review recently. 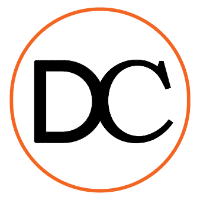 Nice and stretchy, extremely breathable and a cracking sleek design from Café du Cycliste, these shorts tick every box when it comes down to stylish cycling shorts for hot weather. Available in deep green or black. The ever-popular Levi’s Commuter range has produced another winner with these straight fit cycling shorts. 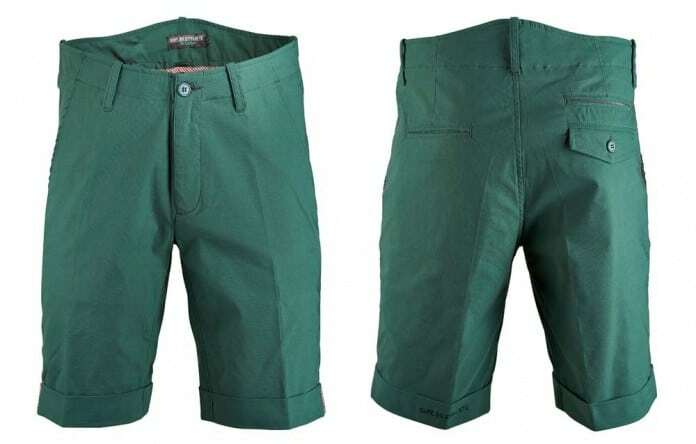 Highly durable and made from Lycra T400 fibre and 67% cotton, these water resistant shorts also offer a U-lock holder on the waistband and a raised back for extra coverage. Available in blue and ‘cougar’ (beige). Reduced to just over £28.11 from £42.10, these stylish yet functional cycling shorts represent excellent value. 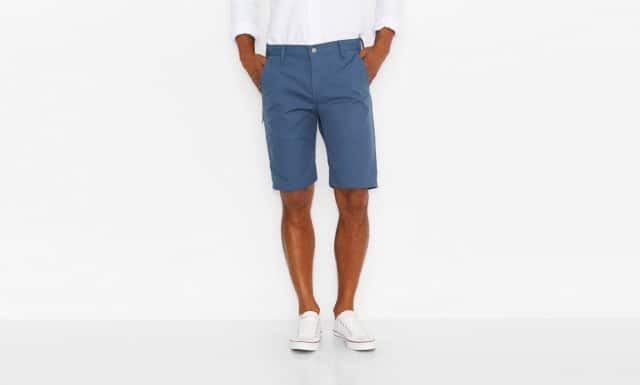 Designed for hot weather, these Oakley shorts are versatile, durable and come in a contoured cut. Bargain. Available in two shades of grey – which is plenty enough. 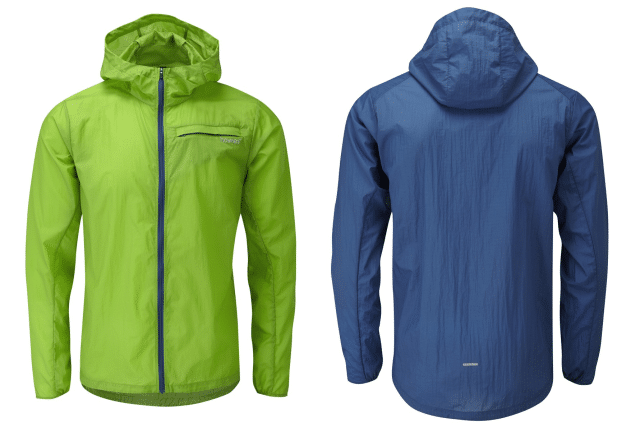 When it comes to making a stylish, lightweight, packable cycling jacket that will protect you from an unexpected summer downpour, Howies are the masters. 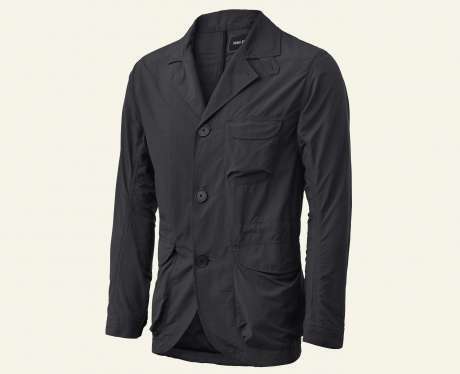 Their latest jacket, the Helium, can be easily rolled up and popped in your pocket, making it perfect for emergencies. Available in kiwi (bright green) and blue. 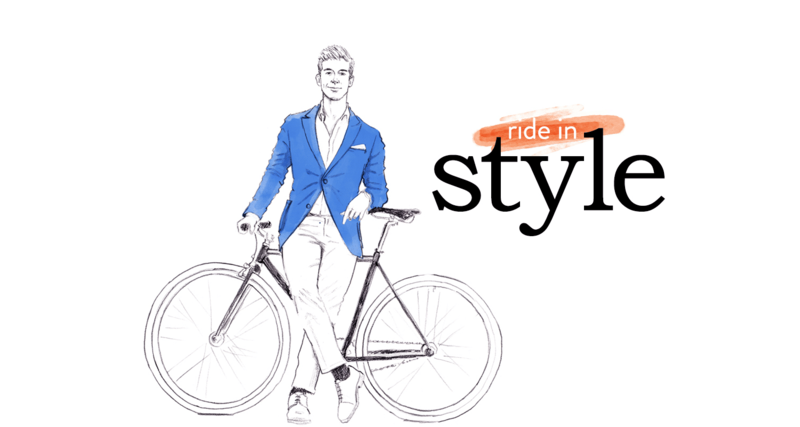 If you’re looking for more of a dapper jacket, on and off the bike, this could be what you’re after. 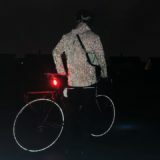 From PEdAL ED (who seem to have a problem with caps lock), this stylish, yet surprising practical jacket, is made in Italy and is water resistant, windproof, lightweight, packable and protects from dirt with ‘self-cleaning’ NanoSphere. Another bargain out there is the Adidas Infinity Jacket which currently has £20 off at Cycle Surgery. 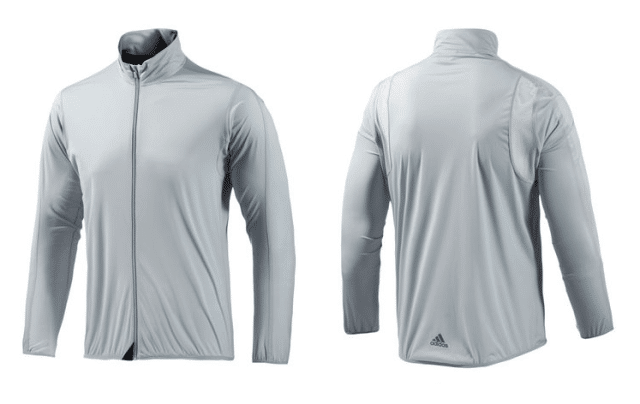 With a minimal design, this Adidas cycling jacket allows fluid movement on the bike, has hydrophilic mesh in key areas for moisture control and has a four-way stretch fabric. 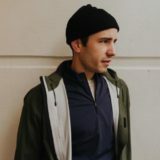 This 160g merino wool top from Howies performs well as a base layer in winter, but also as a standalone t-shirt in the summer months. Featuring a slim fit design, this cycling top is naturally anti-bacterial, has flat-locked seams for comfort and has contrast side panels. 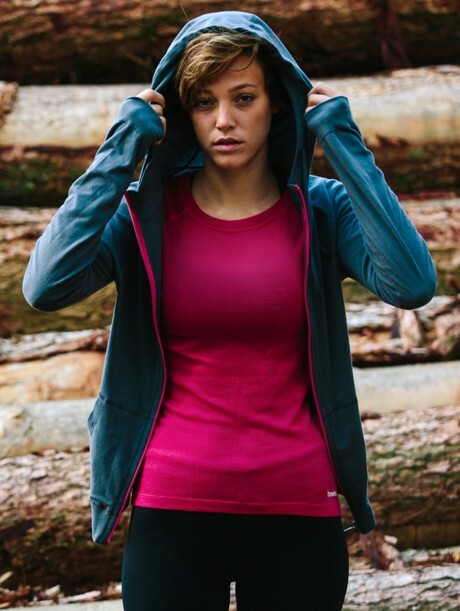 Available in cerise (pink) or phantom (charcoal grey). 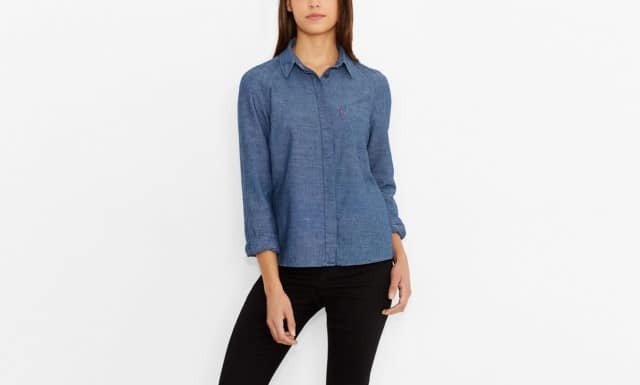 Another great product from the Levi’s Commuter range, this smart ladies cycling shirt is also currently reduced from £70 to £48.90 and represents great value. Made from Thermo cool fabric, this chambray button down provides breathability for a very comfortable and stylish ride. 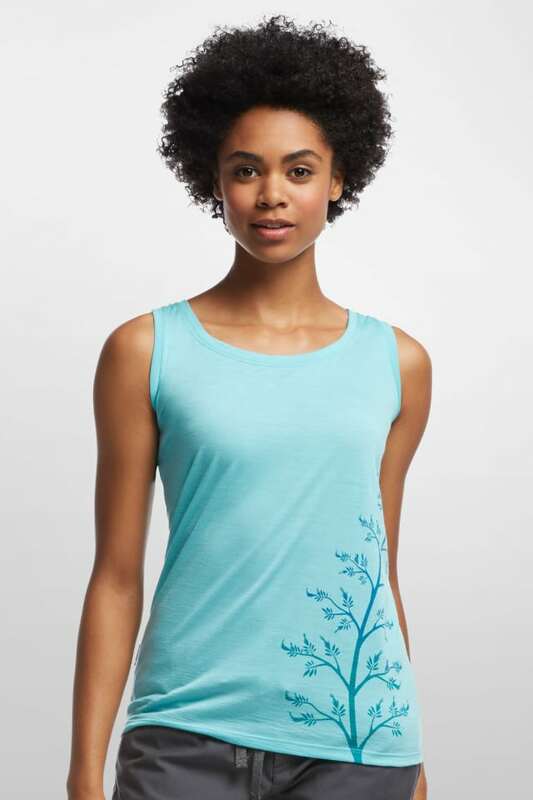 A regular fit tank top made from 87% merino wool and 13% nylon corespun, this Icebreaker cycling top is perfect for summer rides. Featuring another great minimalistic artistic design, this top is designed for all the rigours of a ride as well as the destination, with odour resistance helping you along. Available in water (turquoise) and shell (salmon). No stylish cycling list would be complete with Rapha, and these Turn-Up Shorts are another great product. Featuring a casual, flattering design and fit, the Rapha Turn-Up Shorts are made from cool, lightweight fabric and boast two side front pockets as well as two rear welt pockets. Available in grey/green and dark grey. If you prefer a short that covers the knee, then the ¾ length Summer Capri Shorts from Vulpine made be more to your taste. Built for cycling, these shorts feature a high back, a subtle diamond gusset and offer plenty of stretch. Currently only available in blue with stock in seemingly short supply. These Giro New Road Mobility Cycling Shorts managed to pack a whole lot of cycling functionality into quite a stylish design. With added stretch, a contoured waistband and two front and rear pockets, these Giro shorts are great for summer cycling. 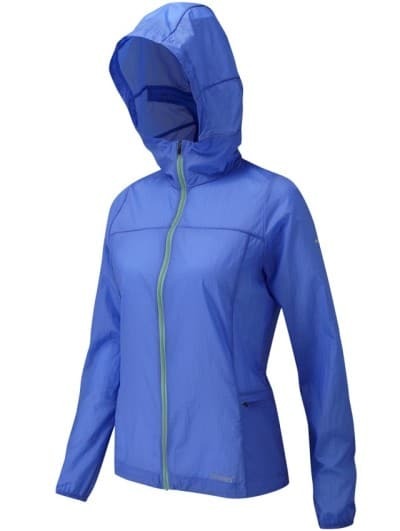 The aptly named ladies version of the men’s Helium Jacket mentioned earlier, the Shelium Lightweight Jacket is another cracking lightweight, packable, water resistant and windproof number from Howies. Available in blue yonder (blue) and smoked pearl (charcoal grey with pink zip). 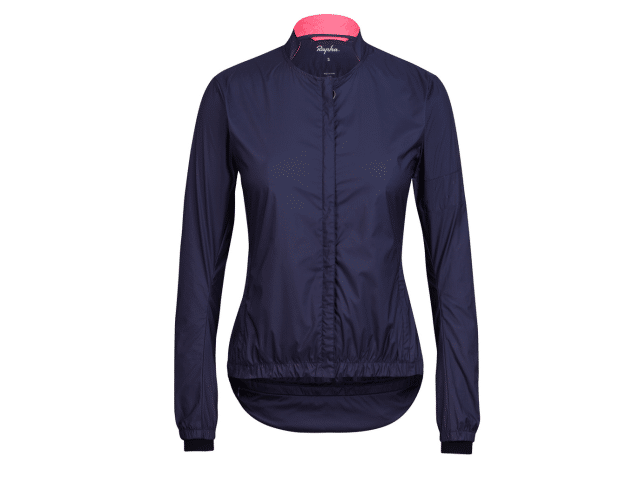 This super sleek minimalistic effort from Rapha is another packable, water resistant jacket that looks good on and off the bike. The lower back also ensures an extra bit of protection, while the material is windproof and quick drying. Available in orange (although not far off red) and dark navy. Weighing in at a remarkable 75g, you really won’t find a more lightweight cycling jacket than the Packable Disc Jacket from Vulpine. As you made have guessed from the name, it is indeed easily packable and is again water and wind resistant, as well as being fast drying. Available in red/orange and navy/green. 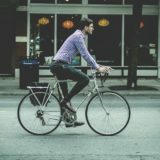 What are your favourite cycling clothes this summer? Comment with your experience of what you’ve been wearing below! Bluffworks Gramercy Travel Suit – Review: The Perfect Cycling Suit? 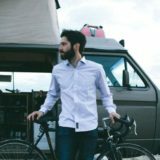 Where Can You Find Stylish Cycling Shirts for Men? Discerning Cyclist © 2018. All Rights Reserved.